In starvation, insulin levels plummet with glucose levels coming down and ketone levels increase progressively. According to Dr Steve Phinney’s chart below, a “well formulated ketogenic diet” contains between 3 and 20% carbohydrates and between 10 and 30% protein. Other dietary templates such as the Mediterranean or Paleo diets typically contain more carbohydrates and less fat. The concern typically expressed about restricted carbohydrate diets is that they will not provide adequate nutrition (i.e. vitamins, minerals and amino acids). Diabetics, along with the general population, are advised to eat in line with the USDA Food Pyramid / My Plate guidelines which emphasise “healthy whole grains” while discouraging saturated fat and cholesterol. Diabetics are told that they should not deprive themselves of any foods or not to risk getting inadequate nutrition, but rather to “cover” any carbohydrates they eat with insulin (or treat with medications such as Metformin for type 2 diabetics). Even in health circles ketosis is sometimes considered to be extreme and not worth the effort for most people, but is it really that hard to achieve? When we look at the relationship between ketones, blood sugar and HbA1c we see that someone with excellent blood glucose levels will have a moderate amount of blood ketones. The chart and table below are based on my tracking of blood sugars and ketone values. Optimal blood (i.e. 4.6mmol/L) glucose corresponds to a ketone value of about 1.3mmol/L. In view of this it’s hard to see why ketosis is extreme. It’s just what happens when someone has reduced their dietary insulin load to a point where they are achieving excellent blood sugars! Ketosis is a sliding scale. Some people will want to push their ketone levels to therapeutic levels though fasting and a higher fat diet, but this may not be necessary for general health. Most people would benefit from reducing their dietary insulin load to a point where their blood sugars are close to excellent. See Diabetes 102 for more info on what your blood sugars should be and the Goldilocks Glucose Zone for more thoughts on how to manipulate your diet to get excellent blood glucose levels. I am a big fan of Steve Phinney (I attended a masterclass with him when he was in Brisbane last year), but I think he potentially alienates people when he starts off talking about the Inuit and Steffanson living off all meat diets. I also understand why the people generally might baulk at the idea of mainlining butter and MCT oil to drive up ketones. “How can eating all that extra fat really be healthy?” they ask. once you optimise your blood sugars you will reduce your hunger, access your body fat for fuel and a whole host of other health markers will improve. The foods and the recipes that this approach highlights actually don’t look that bad! I have a few posts in the works that relate to Type 1s. I would be interested in your thoughts. I think the benefit of highlighting Inuit etc. is to counter the fact that trials of LCHF would never be funded due to the lack of drug company lucre. By pointing out populations that have been LCHF for scores of generations, Dr Phinney can demonstrated that it is a safe alternative diet. I have no glycaemic issues, but it tickles me to see e.g. Ketones 3.9 and pg 3.4 (yesterday) and no signs of hypoglycaemia – my brain is protected and nourished by ketones. You can blame the entrenched scientific establishment at NIH for the lack of funding approval–and who sits on the board? Industry, extremely-biased scientists, politicans, and lobbyists–plenty of people who’ve made plenty of money by keeping the status quo in place (think Alice Lichtenstein here). These same people have also risen to lofty ranks among all the major health establishments (AMA, ADA AHA, etc. ), so they were well-placed to keep whack-a-moling the new science down. Well, reality hit home (finally)–these people are aging, dying off, retiring, moving to greener pastures, or simply being out-voted and overrun with the pile of evidence that says otherwise. All we really had to do (and are doing) is caring for OURSELVES with all the modern knowledge while we await their demise. Even Dean Ornish can’t live forever! 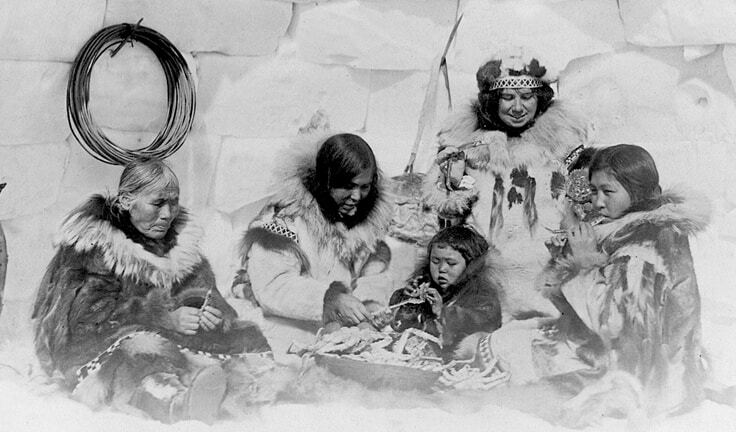 Let’s stop using Inuits as a population that used ketogenic LCHF diet. They have been found to have a mutation that actually prevents them from creating enough ketones. They have a very large liver to allow them to create the required glucose. This mutation was found due to some deaths in children which were not regularly fed. The children do not have large livers and cannot supply enough glucose. Also if you read other researchers (not steffanson) of the past, they say that Inuits could eat a whole lot of muscle meat. Much more than a normal human. This also derives from their large liver, which allows them to convert large amounts of protein to glucose. In this latest study from JAMA, they’re finally loosening the restrictions on fat, and disregarding cholesterol, but sticking with MyPlate as a recommendation for diabetics. Maybe Alice Lichtenstein died or something?